2015 December. Closed. This restaurant, and other bars and entertainment joints in the building, all boarded up and closed. The news about that whole Bourbon Complex Building is that it likely was a result of illegal construction and in the end was put up for sale to satisfy creditors. Le Club Sandwich open 24/7. Huge place, cool old fashioned decor. Near metro Papineau in Montreal at 1570 Ste Catherine St.
Way off the tourist track, but useful to know for late night poutine. Excellent poutine. 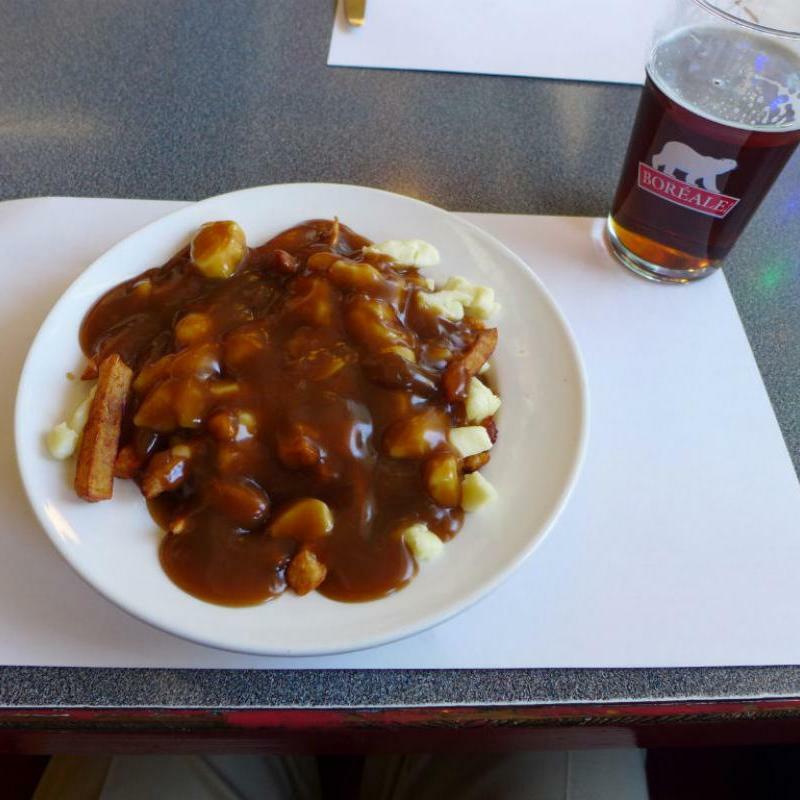 Very hearty, thick fries, and they really put on the gravy, which makes it even better.